First up is a nice and simple support and resistance play on Guppy. The pair is currently testing the 130.00 major psychological handle, a level that had held as support back in late June all the way through September. What’s more, stochastic is also on the bears’ side with an overbought signal. Think the pound is about to see losses against the yen? Shorting at current levels could get you a good reward-to-risk ratio especially if you aim for the pair’s previous lows. Don’t place your stops too tightly though, as volatility on yen crosses like this one is usually higher than the majors! Here’s another yen trade, this time for comdoll traders out there. 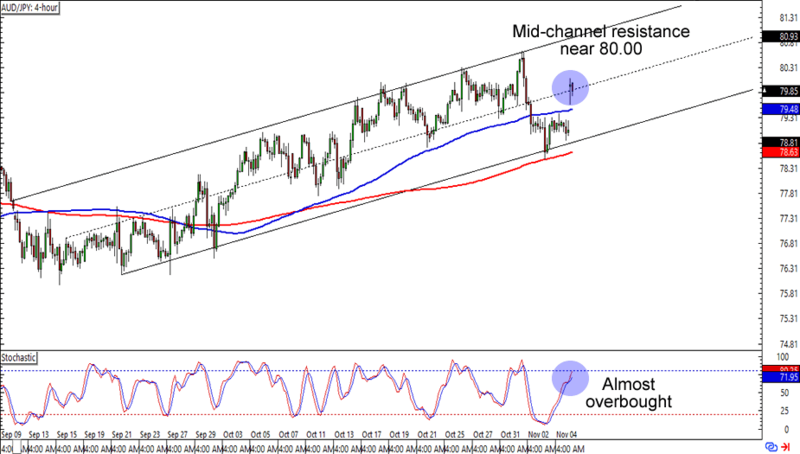 AUD/JPY has gapped up over the weekend and is now hanging out just below the 80.00 major psychological handle that also happens to line up with a mid-channel resistance on the 4-hour time frame. What’s more, stochastic is also about to hit the overbought territory. 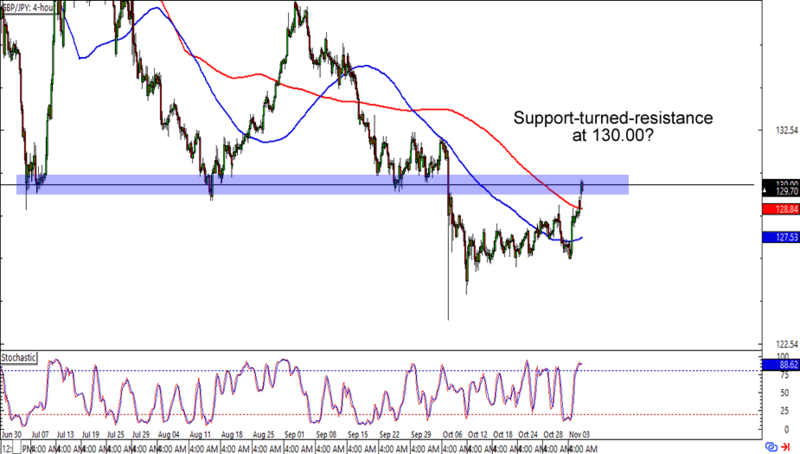 Countertrend traders could also short at current levels and aim for the channel support for a couple of quick pips, while more conservative traders could wait for a retest of the channel support near the 100 and 200 SMAs and place a long trade around those levels. Last one up for this batch of charts is an easy peasy support play. 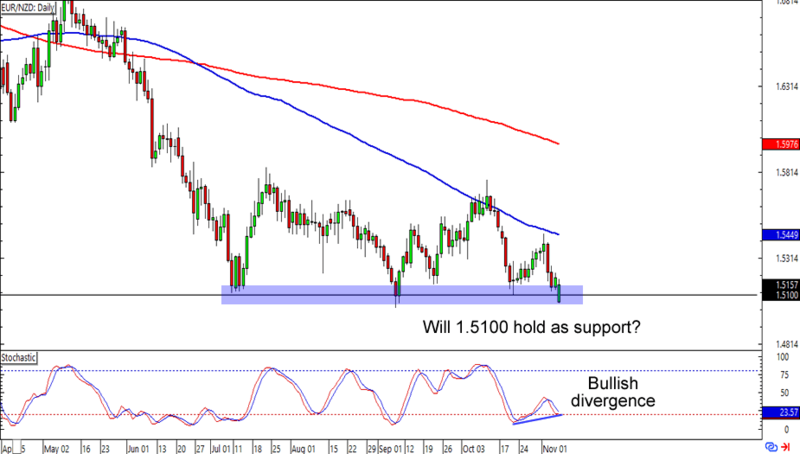 EUR/NZD is testing the 1.5100 major psychological level, which had has been holding as support since July this year. What makes this setup more interesting is that there’s a bullish divergence on the daily chart. Are we looking at a bounce in the making? Keep close tabs on this one for a possible position trade, folks!